This is Amber from Crazy Little Projects! 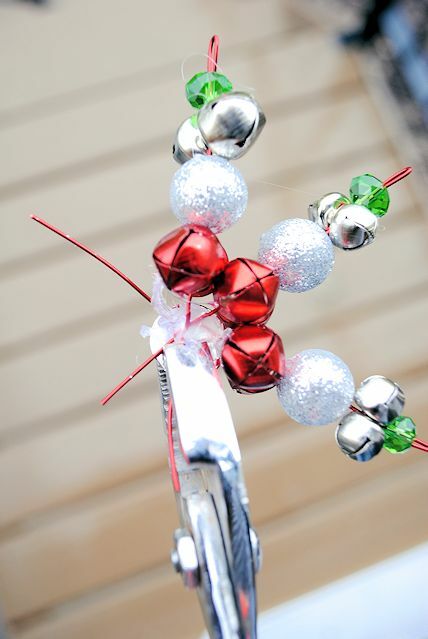 I love guest posting over at U-Create and I have loved following this ornament series. I’ve got a bit of a beading thing going on now that I made beaded bracelets, so I got the idea to do something beaded for my ornament as well! I’m getting very excited for the Christmas season this year and making this ornament only got me more in the mood. If I allowed myself to listen to Christmas music before Thanksgiving it probably would have even been MORE fun to make this. I actually got the idea for this ornament from a store bought ornament we already had. I loved it and figured I could probably make it and it turns out that it’s VERY easy to make! 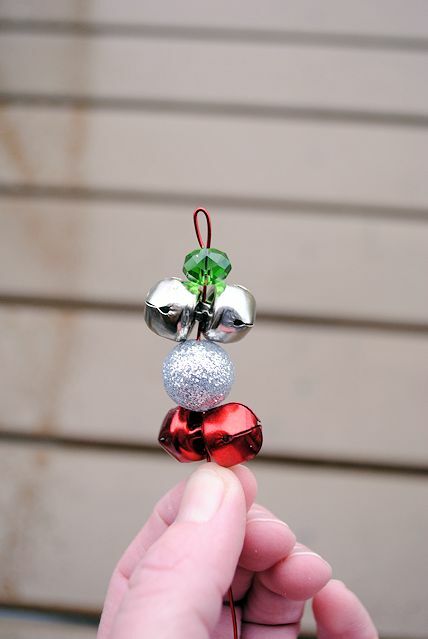 Jingle Bells-you’ll need 12 of each color. You can choose any color you want-I used red and silver. Wire-thicker wire will be easier to work with but any wire will work. Glass beads from the jewelry section of the store. Just grab some you think are pretty. You can see that I got some green beads and sparkly silver ones at my craft store. Anything should work as long as it has a hole through it. Do this for all 6 of your pieces of wire. Then, heat up your hot glue and grab one of your flat backed jewels. This part was a little tricky. You want to put some hot glue on the back of your jewel and glue the ends of the wire into it in the shape of a snow flake. I found that it was easier if I used pliers to hold it. Yes, they sort of got glue on them but I could pull that off easily enough. One things to be sure of is that the jingle bells that are right by the jewel (so my red ones) are going up and down by the jewel. See how in this picture you can only see one because the other is below it? That’s how you want it and wedge them up as close as you can to that flat backed jewel. I just left the wire pieces long while doing this. Get all 6 glued in place. Then trim your wire with wire cutters (if you have them or scissors if you don’t) and glue another flat backed jewel right now top. 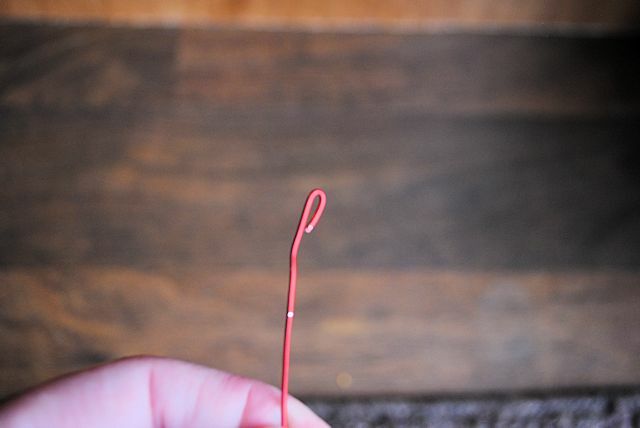 Simply add a nice string through one of the loops at the end of one of your 6 points and hang it from your tree! Thanks Amber this is awesome. 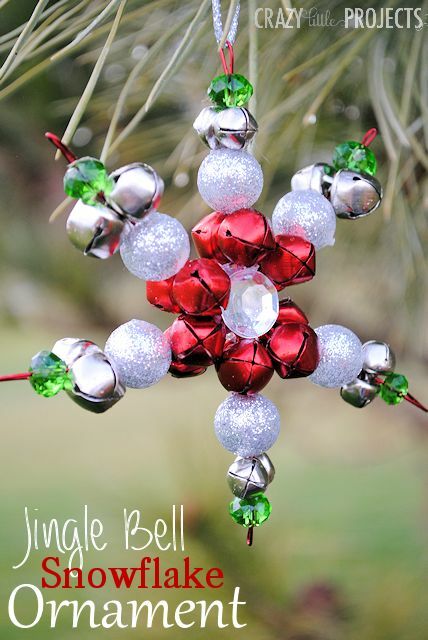 Amber, your jingle bell snowflake is fantastic! Thank you so much for sharing it with us today and being our guest! These are so fun Amber! This is adorable!! LOVE it, Amber! was just wondering what to do with all my jingle bells and now I know. thanks for the wonderful idea. will do a little substituting on some of your items.